Bernhard Linde (1886–1954) was a recognized and prolific Estonian theatre critic of the first quarter of the 20th century, who mediated and propagated western as well as eastern European theatrical innovations. In addition, he was active as a literary and art critic, publisher, and proponent of libraries, to a modest extent he was a prose writer and poet. Unquestionably, however, Bernhard Linde’s most prominent role was as one of the founding members of the literary movement Young Estonia. He was the group’s first general manager; later on, he was the secretary of the Estonian Writers’ Association Young Estonia, and the chairman of the board of the Young Estonia Publishing House. Linde’s formal education culminated in graduation from Tartu University as a Slavic philologist; he was the only member of the Young Estonia group to demonstrate serious and sustained interest toward Slavic cultures and peoples. Linde was a contradictory figure, evoking a range of responses from his contemporaries: on the one hand, there was the unbelievably broad range of his participation in cultural life, his organizing skills and business instincts in directing publishing houses; on the other hand, a superficiality in his writings, his often rash and subjective style as a critic, and his financial intrigues. If one adds in Linde’s stubbornness, egocentrism, and intense spirit of protest, which often led to lawsuits, the outcome is the portrait of an extremely complicated, fascinating, and passionate man—both in his creative work and his personal life Linde guaranteed a place for himself in literary history through a small catch of texts: a few foundational essays (for example, on August Kitzberg), a translation of Balzac’s Le père Goriot, the essay collection Omad ja võõrad (Own and Foreign) and a travel book focusing on the literature and theatre of eastern Europe (Loova Kesk-Euroopa Poole (Toward A Creative Central Europe)). The prominent public figure and historian Eduard Laaman has pointed out that the historical picture of Young Estonia would be incomplete without Bernhard Linde. It was Laaman who, in view of Linde’s business instincts, dubbed him Young Estonia’s ”leader of the pack”, a label that stuck. While fulfilling the responsibilities of the group’s general secretary and business manager (the Estonian word asjaajaja has a broad connotational field) Linde carried most of the burden of Young Estonia’s correspondence. Though he often protested against the designation, the term general manager seems most precisely to characterize Linde’s activities in the context of Young Estonia, since the group’s financial matters and problems connected with its publishing activities were largely his to handle. Compared with his organizational work, his own literary contributions from the Young Estonia era were modest. Young Estonia’s fifth and last album was published in 1915. 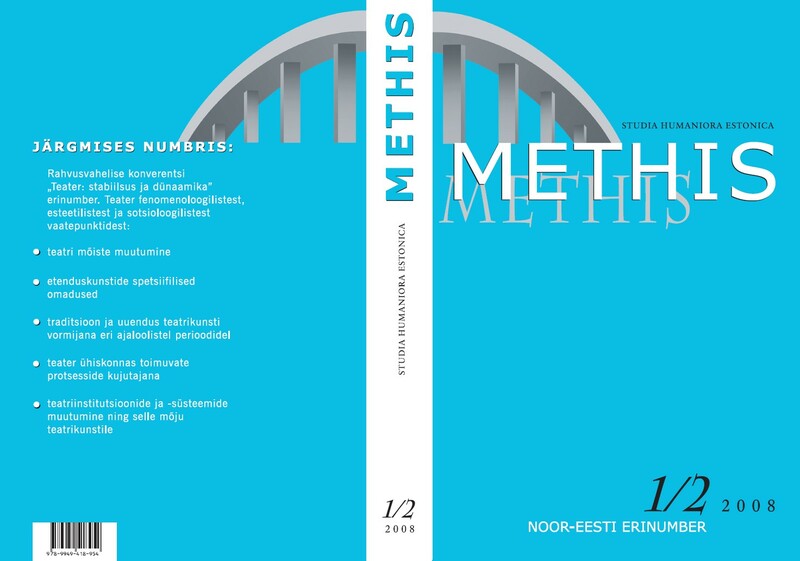 The last text specifically about Young Estonia authored by a member of the movement was Bernhard Linde’s ”Noor-Eesti” kümme aastat (Young Estonia: Ten Years), also mostly written that same year, though not published until 1919 (publication date on the title page was 1918, reprinted 2005). This text is a systematic historical overview of the movement which continues to offer valuable perspectives for today’s reader.